As a business owner, we understand that protecting your investment is among your top priority. 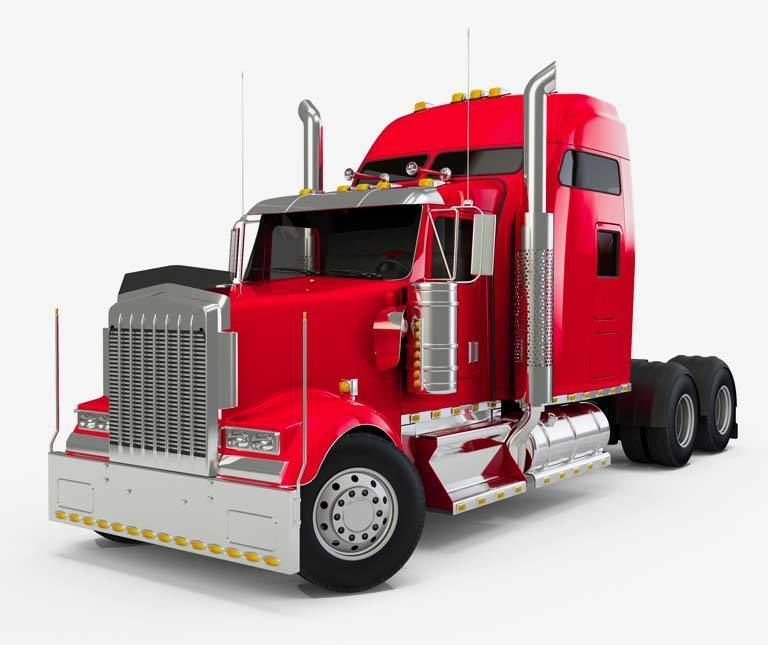 Let International Machinery do a top-notch semi-truck sandblasting job for you to protect your trucks from rust and prepare them for a new paint job. When it comes to semi-truck sandblasting, International Machinery can deliver the best service in Canada. Sandblasting is a method of cleaning or etching on surfaces using high powered jets of abrasive materials. It can produce extremely smooth surfaces by knocking off loose paint, coating, or debris and create a matte effect similar to manual sanding. This process is the most suitable for metallic surfaces. Since it doesn’t use water, air-driven sandblasting eliminates the possibility of water seeping into the crevices and prevents corrosion due to moisture build-up. This type of sandblasting is used mostly on brick and concrete surfaces. The treated surface can run at high temperatures when it is sandblasted with abrasives. Water cools down the surface to prevent unlikely deterioration and damage. Why do you need to do sandblasting? Sandblasting is used for several reasons, among them include removing a layer quickly and easily, creating matte finishes on surfaces, and removing rust and other signs of corrosion. The process can also speed up the process of sanding objects and help get stubborn debris and dirt off crevices and small places that are hard to reach. Unlike jet washing which uses up (and possibly wastes) a lot of water, the abrasive materials used in sandblasting can be reused several times. Since there are no liquids used, sandblasting doesn’t leave any residue behind and it saves time on cleaning the surface or prepping it for the next step. On semi-trucks, sandblasting is often used to remove old, chipped paint from a surface and give it a smooth finish in preparation for a fresh coat. Detailers also use sandblasting to create intricate patterns on surfaces and turn smooth glass into matte glass. We’ve been doing it for 10 years! If your truck has cosmetic issues or surface rust, don’t replace it yet! Sandblasting is a more practical solution to treating surface rust and corrosion compared to replacing surface parts or buying a new truck. Our sandblasting services can prepare your truck for a new paint job and bring it back to its former glory. We guarantee that your truck is sandblasted with the utmost care and treat every project as if our reputation is on the line. International Machinery has been providing quality sandblasting services in the Vancouver, BC area for more than a decade. Most of the truck drivers who we have worked with came from nearby areas such as Fraser Valley, Coquitlam, Port Coquitlam, Port Moody, Pitt Meadows, Abbotsford, Mission, Chilliwack, Langley, Surrey and many more. The cost of replacing a heavy truck due to cosmetic issues and surface rust is not practical. Surface refinishing by sandblasting semi trucks and preparing them for a new paint job is much more economical. Our iMach customer guarantee ensures that your heavy truck is sandblasted with the utmost care, using the proper safety procedures. We treat your truck like it’s our own. A freshly sandblasted truck is the perfect prepared surface for a new coat of paint or powder coating. Our results are unmatched in our industry. We make sure your semi truck is sandblasted and ready for fresh paint for an economical solution to purchasing a brand new commercial vehicle. We stand by our results. We’ve been doing it for 10 years! If your truck has cosmetic issues or surface rust, don’t replace it yet! Sandblasting is a more practical solution to treating surface rust and corrosion compared to replacing surface parts or buying a new truck. Our sandblasting services can prepare your truck for a new paint job and bring it back to its former glory. We guarantee that your truck is sandblasted with the utmost care and treat every project as if our reputation is on the line. Removing rust can be done in three ways: by grinding the rust off with elbow grease and power tools, converting the rust into a ready-to-paint primer, and by using chemicals to remove them. Mill scale is the flaky surface that forms on hot rolled steel. Painting over steel with mill scale becomes a problem because the mill scale could come off once moisture from air seeps under it, wasting valuable paint, time and effort. Mill scales can be removed through frame cleaning, pickling, and abrasive blasting. High-build epoxy is a type of epoxy coating that is used for heavy builds that need strong and chemically resistant bonding. These are often used in environments that receive high traffic from heavy machinery like forklifts and trucks. Among these places include warehouses, parking garages, and chemical plants. Galvanization is the process of applying zinc coatings on steel and iron surfaces to prevent rust and corrosion. Zinc is a naturally occurring Earth element that corrodes 100 times slower than other metals. Zinc corrosion products, known as zinc patina, create a protective barrier on metal surfaces that keeps out moisture and significantly reduces the onset of rust. Polyurethane coating gives metallic surfaces a high-gloss finish and a thin film that protects the surface against abrasion, corrosion, and chemical exposure. Trucks run through harsh weather at long distances and through varying climates. It needs a good coating of polyurethane paint to ensure that your trucks last through all the harsh beatings that Mother Nature can dish out at it.